Please input E-mail and Password! *Visitors must be registered with Vita Aid to have the access to the online order system. 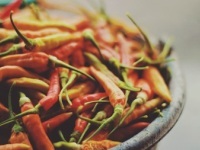 Is Hot Chili Pepper (Cayenne) Good or Bad for Gut Mucosal Repair? 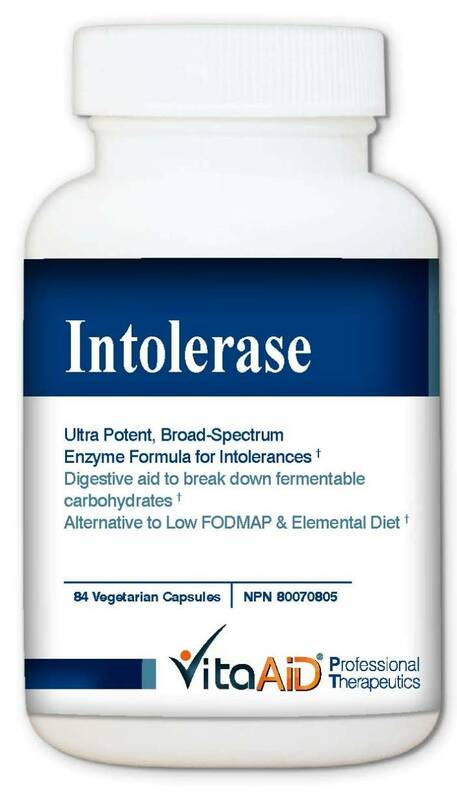 Intolerase is an ultra-potent, broad-spectrum carbohydrase formula designed to break down fermentable carbohydrates and support post-eradication phase of SIBO treatment. Helps prevent SIBO and its recurrence. Enzyme potencies are based on the estimated dietary intake of common FODMAPs in general population. Calcium butyrate (250 mg), microcrystalline cellulose, silicon dioxide, L-leucine, pullulan/ hypromellose (capsule). Adults - Take 1 capsule with carbohydrate-rich meal, 2-3 times a day, or as directed by your health care practitioner. For prolonged use, consult a healthcare practitioner. been known to occur; in which case, discontinue use. † Vita Aid Professional Therapeutics products are exlusively available for licensed healthcare practitioners to ensure the proper use of high-quality nutrition supplements. * Some formulas may be slightly different outside Canada and the US.